Revolutionary! The Kuru Toga lead rotates to keep the tip sharp. The gears of the “Kuru Toga mechanism” revolve as the lead is pressed down and lifted off the paper. 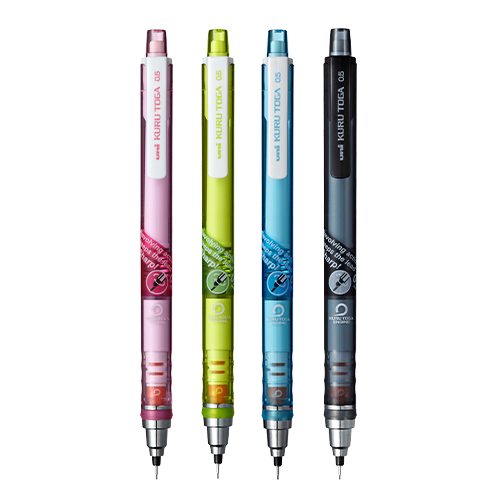 Each time you write, the lead rotates fractionally to maintain an even, cone-shaped tip that is resistant to breaking.